What is better than a chocolate chip cookie with a cup of fresh milk? Yes, probably nothing. Well, you do not need to count calories anymore. 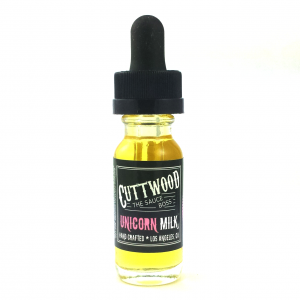 This perfect combination is inside the ANML Unleashed Grizzly vape juice bottle. ANML Unleashed took the market by storm. Provocative labels and vape juice names certainly did a good job of promoting the company. Even better thing is that these labels speak for themselves. High – quality natural ingredients quickly took companies juices to the top lists. Grizzly is not an exception as it is one of the most popular ANML Unleashed e-liquids. As already mentioned, the dominant flavors are chocolate chip cookie and fresh milk. It is pretty difficult to say which of them dominates more because it‘s just a perfectly balanced blend. The chocolate chip cookie starts off the mix making your taste buds dancing from the sweetness. It is rapidly changed by a taste of fresh milk and again quickly changed by chocolate. This goes back and forth until you blow out all the vapor. Of course, it goes again and again because you will not be able to put this juice back to the shelf. Grizzly by ANML Unleashed comes in a 60 milliliters glass bottle with child-proof squeeze dropper. As all of the other companies products, it has some wild animal on the label. This time, it is grizzly. 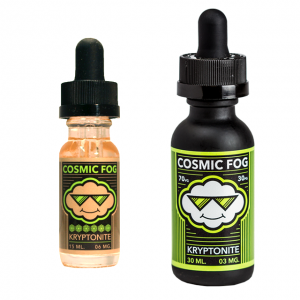 Vapers can choose from 0mg, 3mg, and 6mg nicotine rates depending on their usual nicotine consumption. The VG/PG ratio is 70/30 so Grizzly falls under the category of thicker juices. It will deliver a lot of fragrant vapor and will not hit your throat so strongly.